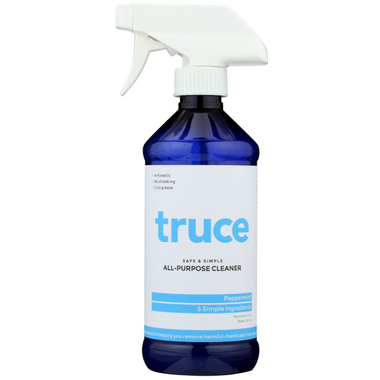 Made with only 5 simple, safe and pronounceable ingredients, this true All Purpose Cleaner is sure to brighten up your cleaning routine. Packed with the punch of aromatherapeutic essential oils, learn for yourself why many are calling Truce the new smell of clean. I am thrilled to have found the BEST all purpose cleaner with simple ingredients , amazing scent and cleans incredibly !